Later this year, Seattle-based Spaceflight Industries will launch the largest US-based rideshare mission into orbit from Vandenberg Air Force Base in California. The SSO-A: SmallSat Express mission will use a SpaceX Falcon 9 to carry more than 70 spacecraft from around 35 different organizations to sun synchronous orbits. SSO-A includes 15 microsats and 56 cubesats, including representation from more than 30 international organizations from 18 countries, including United States, Australia, Italy, Netherlands, Finland, South Korea, Spain, Switzerland, UK, Germany, Jordan, Kazakhstan, Thailand, Poland, Canada, South Africa, Brazil, and India. Two Planet SkySat imaging satellites are the primary spacecraft on the launch, along with several Dove cubesats. Planet is also sponsoring the launch of two cubesats: one from Georgia Institute of Technology and one from University of Colorado Boulder Laboratory for Atmospheric and Space Physics. Seventy-five percent of the spacecraft onboard the launch are commercial. Notable customers include Audacy, Astrocast, Capella Space Corporation, Fleet Space Technologies, Helios Wire / Sirion Global, Honeywell Aerospace, HawkEye 360, Korea Advanced Institute of Science and Technology, and University of Colorado Boulder Laboratory for Atmospheric and Space Physics. Sirion Global is a relatively unique company, joining Astrocast, Fleet Space, and Helios Wire in the Internet of Things (IoT) sector. Based in Australia, Sirion’s lead mission is tracking rural livestock across the country and around the globe, but you can expect it to expand to track other things in the future. 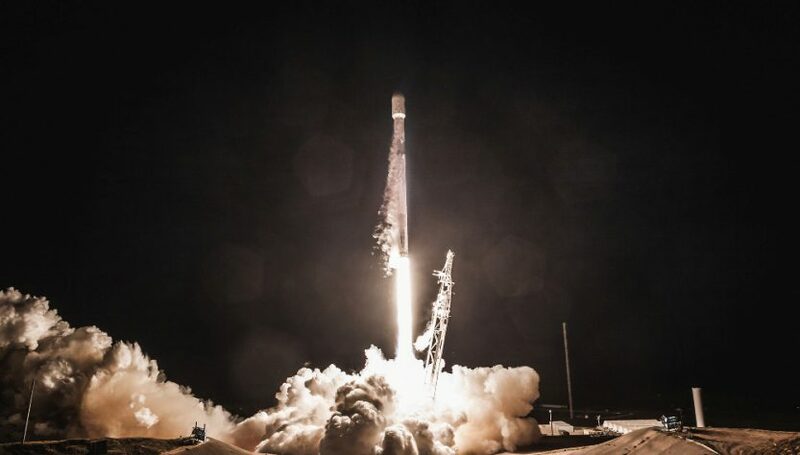 Spaceflight has launched more than 140 satellites to date via secondary and ride-share arrangements on a variety of launch vehicles around the globe, including the United States, Russia, India, and French Guyana. Recently announced agreements add Rocket Lab Electron, ArianeSpace Vega and Virgin Orbit LauncherOne to customer launch options. The company has already launched 22 spacecraft on two missions this year and has plans to launch 97 more across six upcoming missions to LEO and GEO by the end of 2018. Additionally, the company has plans for approximately 10 scheduled missions in 2019.